Tello soft launched in the USA in late 2015, and it is an MVNO that uses Sprint’s network to provide service to its customers. Although the MVNO is a relative newcomer to the market, its parent company, KeepCalling, is a global telecommunications company that first registered in the USA in the year 2002. From 2011-2014 KeepCalling grew its revenue by over 200% and was named by Inc 5000 to be one of the fastest growing companies in the USA for 5 consecutive years. With Tello, subscribers join a company that has years of experience in the telecommunications market. Tello allows its subscribers to custom build their own cell phone plans. When you custom build your own phone plan with Tello, you’ll enjoy having no contract, free tethering, unlimited data (speeds reduced to 64 Kbps once high speed data allotment is used up), calling to Mexico, China and Canada and no extra fees whatsoever. Tello does however charge state and county sales tax, and for the federal universal service fund. SIM cards and plans must be purchased directly from Tello. 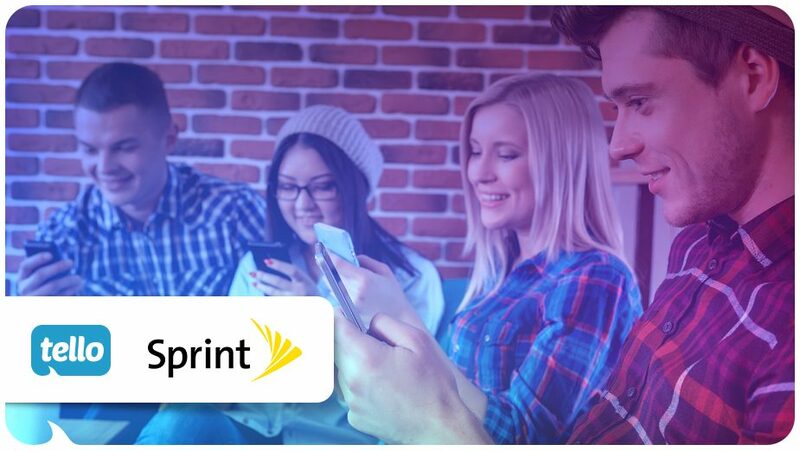 If you already have a Sprint SIM card, you can safely use that with Tello without having to purchase a new SIM card. Tello does sell mobile phones, however, those that already have a phone are welcome to bring it to Tello, as long is it is out of contract and compatible with the Sprint network. Most universally unlocked phones from Motorola and Samsung are also compatible. Customer support is provided by way of email, chat and over the phone. Porting out requires you to call Tello to get your account number. You will need to submit to them your name and email address. They will also ask you for your new provider name. Tello does not use PINS or passwords and so your port out password defaults to 0000. Tello sells all of its phones unlocked, so there is no device unlock policy to worry about.